Have you tried using a lucky charm? If you haven’t, you can start by trying the lucky charm that is associated with your zodiac sign. The use of these charms, and even talismans or good luck pieces, dates back to the ancient times. As to their effectivity, it depends largely on how you see it. But the fact that their use still exists unto this day, it might be worth considering. Some people use these charms to protect their personal energy and attract luck into their life. While trying them on yourself may satisfy your curiosity, know also that the real power is inside of you. Listen to your inner voice and trust your own judgment. If you feel you’re drawn to use these charms to help with your peace of mind and to strengthen your energy, then do so and find out the best lucky charm that suits your zodiac sign. As an active participant and having a dynamic attitude towards everything, the lucky charm for Aries is the Key. The Key suits you best Aries because you’re drawn to doing everything you can to fulfill your ambitions in life. The key will help you unlock the otherwise inaccessible places. 7 is an important number that symbolizes many things, like the days in a week or the colors of the rainbow. Counting till seven helps the Taurus, who are analytical people and may not even go for any charm or fetish. But Taurus has such deep connection with nature that the acorn could also be their other lucky charm. Geminis are seen as trendsetters and trend followers. They consider anything that stands as a fashion statement a lucky charm. Since the silky dice made its statement, it’s this charm that suits best with Geminis. Cancer loves animals and the ladybug is the best charm that reflects it. 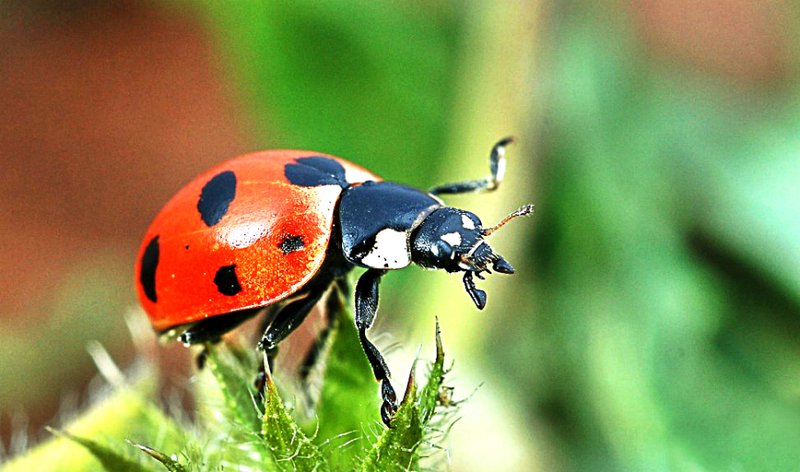 However, keeping a ladybug like a prisoner wouldn’t bring any good because they need to be free. The bamboo, instead, is the best gift to give and to receive. Leos are lucky with any color of the stone because Leos have the best qualities that symbolize different colors. They are cheerful, enthusiastic, and dynamic. But the best stones for them are Amber and Sapphire. Because Virgos have numerous capabilities, they’re often the center of attention. For this, you need the Evil Eye to stand as your steel armor, which can send away negative energy. Choose an Evil Eye that has the lucky color of either green or blue. The Triangle, known as the best connector between life, death, and the universe, keeps the Libra safe. It upholds and counterbalances the Libra who maintains a good relation with everyone by staying neutral. Scorpios rest on a curve. A horseshoe having a curved shape and an iron base that denotes longevity is the best charm for the Scorpio. The horseshoe keeps demons away from the Scorpio who loves to go with the flow. Sagittarius feels safe in walking with a Rabbit’s Paw. In ancient folklore, the backward left paw of the rabbit is said to help in getting out of a dangerous situation. The handmade one and not the real rabbit paw is the best charm for the Sagittarius. A Four Leaf Clover, which is a symbol of success and exorbitance, soothes a Capricorn. The white Four Leaf Clover strengthens the bond of love between Capricorn and nature as well as provide them with good luck and a positive vibe. The Dragons can also provide the Capricorn with direction and skills. Carrying small pieces of them is helpful. At night, the Aquarius gets a friendly presence with them by listening to the low sound vibration of crickets. Listen fully well Aquarius because their absence may signify danger. Pisces are Dreamers. Hence, the Dream Catcher serves them best. Placing this charm around a Pisces helps push away all the negative intuitions from the environment.